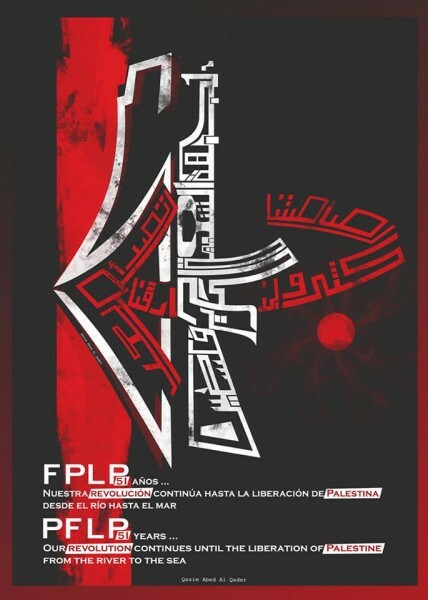 FRSO message to PFLP on 51st anniversary of founding | Fight Back! Poster marking 51st anniversary of the founding of the PFLP. Fight Back News Service is circulating the following statement from Freedom Road Socialist Organization (FRSO) to the Popular Front for the Liberation of Palestine (PFLP). We will continue to press for the release of your imprisoned General Secretary Ahmad Sa'adat, and all other political prisoners held in Zionist jails, and demand that the U.S. end its support to the occupation of Palestine.